I’m usually pretty easy & lowkey when sharing things I love with you guys because I figure you’ll check it out if you’re interested, and if not, no big deal! Today, I’m going to strongly suggest that you run and buy this lip balm, though. 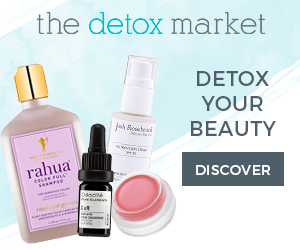 It’s my favorite product of 2019 so far! 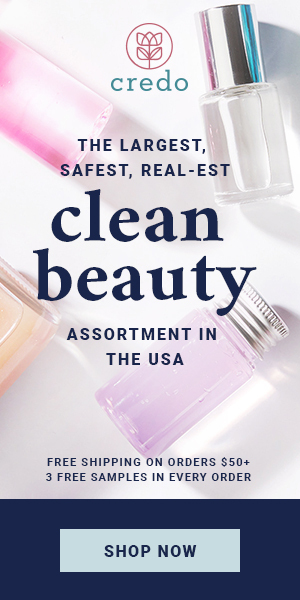 I’m a lip balm addict/fanatic/inspector/expert and I feel pretty confident you can trust me on this. 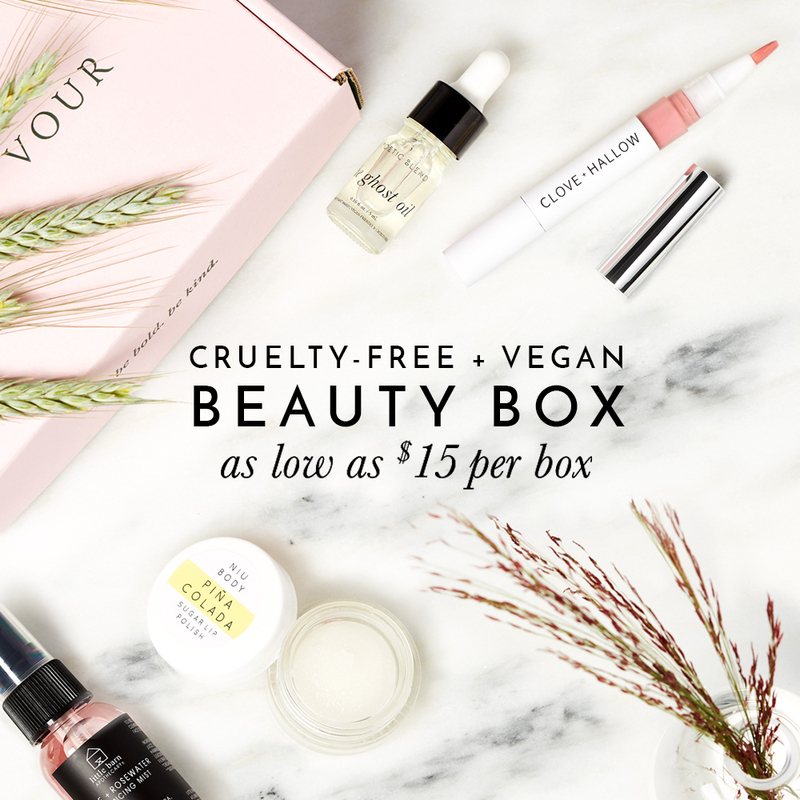 I buy a lip balm almost every single time I place a beauty order or step into a store, haha. These Lip Fuel balms are (not surprisingly, because Kosas is an amazing brand that I’ve been so impressed with) PERFECT. They’re unique, fun, new, cool, and just hands down one of the best, period. 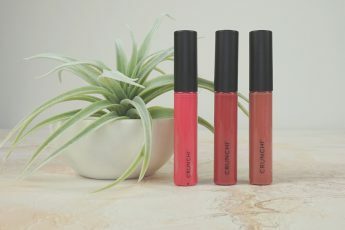 These are truly the smoothest lip balms I’ve ever used! My lips feel like silk. 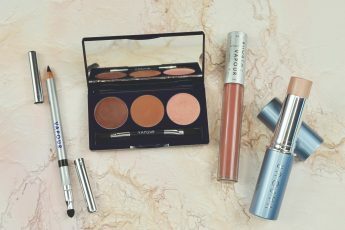 The formula is thin but substantial (not too thin or thick), the finish is flattering but not glossy (not too matte or shiny/sticky), the scent/taste is extremely subtle and pleasant (very faint mint essence almost), the packaging is adorable and super thin to fit in any pocket/purse/wallet etc., and the tints are beautiful! They’re $18 each, and I think it’s completely worth it. 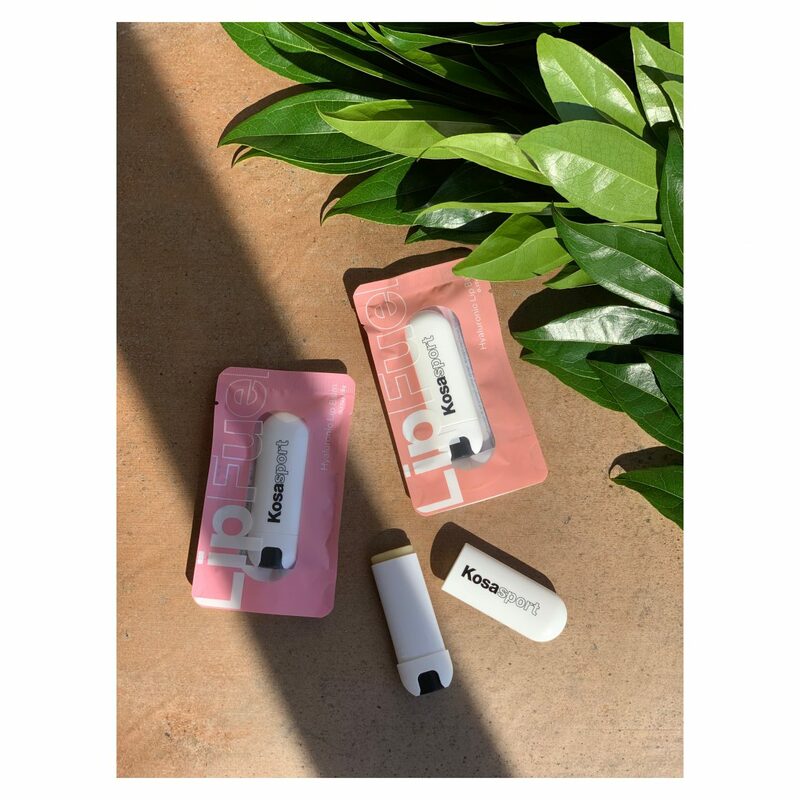 LipFuel uses an ultra-hydrating, gel-like network of konjac root to anchor spheres of hyaluronic acid on the lips where they get to work sealing in moisture, protecting against environmental damage, and coaching lips to harness their own healing powers. My only comment is that the tint shades are very similar with the slight difference of a cool or warm undertone. I will probably happily repurchase both though, because they’re both so flattering. 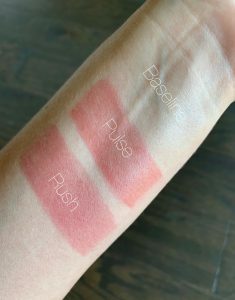 These swatches below are 3-4 swipes each, I think the formula is very buildable and just what I was looking for! I do think that Kosas could use some help with their shade descriptions and images on their site, because I had this problem when buying their (gorgeous) lipsticks as well. 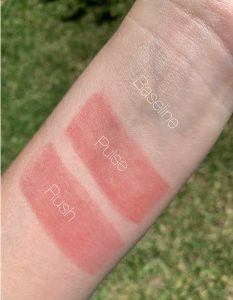 Baseline is a clear balm, Pulse is described as a warm tan (? ), and Rush is called a cool pink. The product images show almost a red and berry, respectively, and I don’t know why they chose those images/editing. 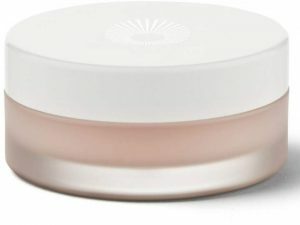 Anyway, you can see above that Baseline (the clear balm) is not too glossy, so these will be perfect for men and women, kids, makeup and no-makeup days alike. And the tints are the perfect “my lips but better” shade that’s my favorite way to wear lip color. I can’t recommend these enough! Aren’t these so cute and cool? They’re also super nourishing and I think essential year-round for how great they make my lips look/feel. They’ve been selling out all over, so I’m not alone on loving them. I’d love to know if you pick them up and what you think!